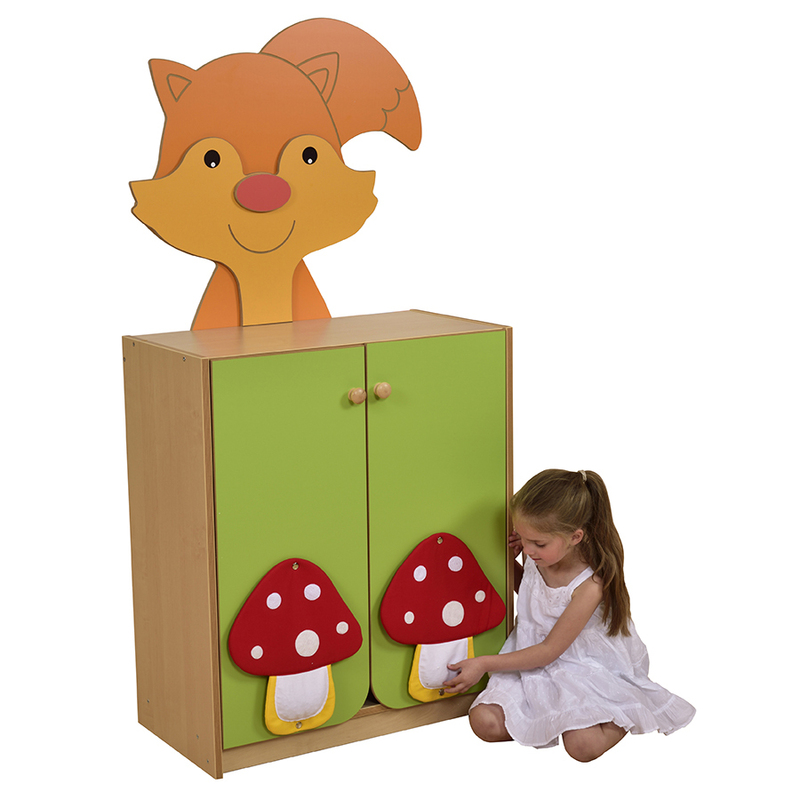 The Fox Cupboard is a new addition to our popular Nature range. 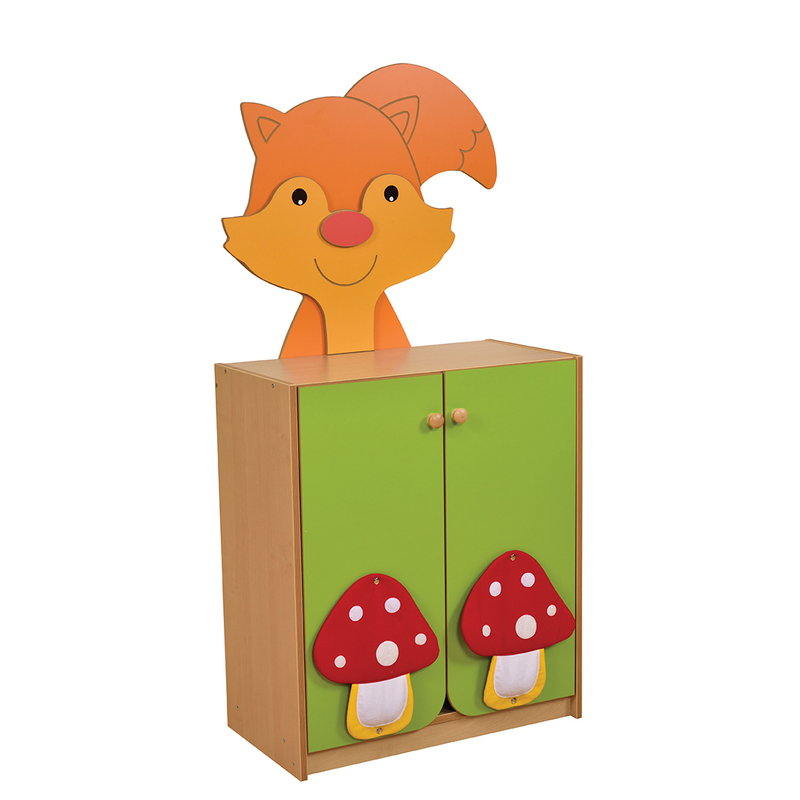 Fox and mushroom decorations give this unit a playful appeal. Mushrooms clip on/off and include sensory beads. 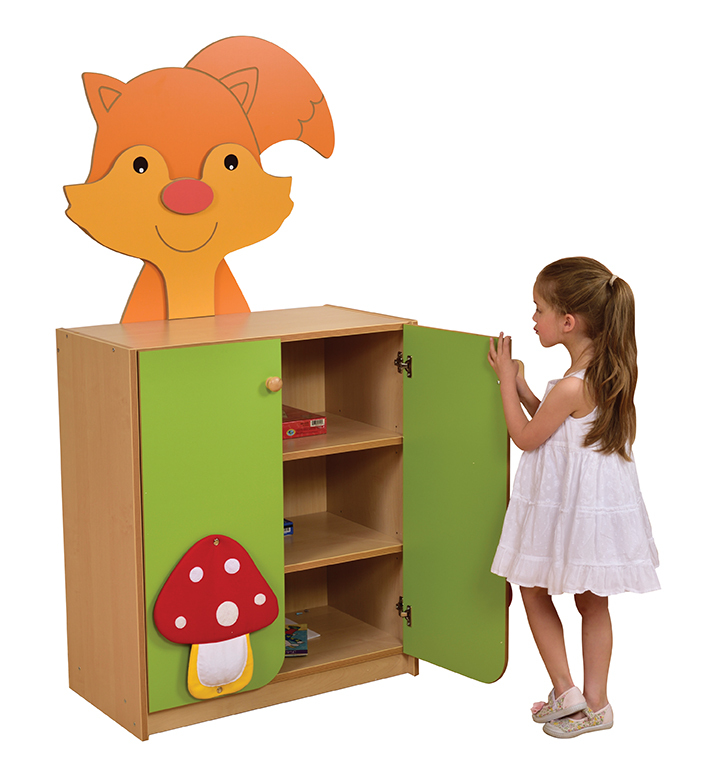 Made from 18mm Maple Laminated Board for strength and value. Flat packed for easy assembly.